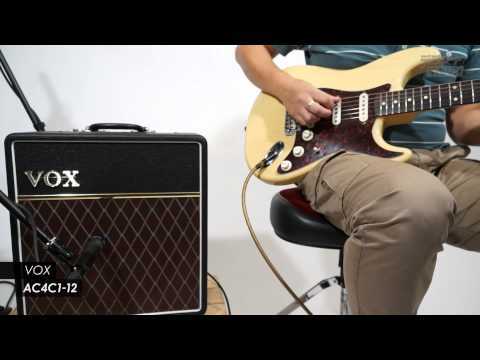 The Vox AC4C1-12 is an all valve combo amp, giving you the legendary Vox AC30 Top-Boost sound in a compact and portable amp. Portable Valv.. The Vox AC4C1-12 is an all valve combo amp, giving you the legendary Vox AC30 Top-Boost sound in a compact and portable amp. Producing incredible valve tone at low volume levels, the AC4C1-12 is one of the most popular Vox amps available. 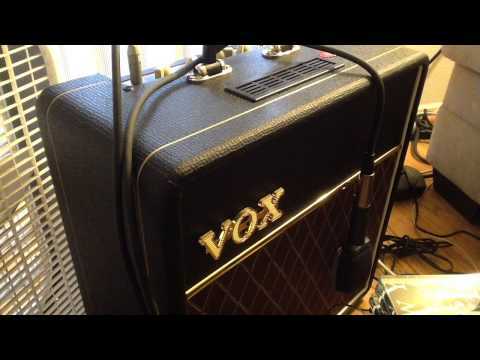 The Vox AC4C1-12 gives you the fantastic AC30 Top-Boost sound you know and love in a small and portable combo amp. Furthermore, because it is a 4-watt Class Amplifier, the AC4C1-12 is ideal as a home or studio amp. An all-valve amp, the AC4C1-12 mini combo amp’s incredible tone is powered by two 12AX7 preamp tubes and an EL84 power tube. While the AC4C1-12 is based on the classic Vox AC4, it has a slightly larger cabinet to accommodate a custom 12” speaker. This Celestion VX12 custom speaker delivering all the fantastic tone you need from warm low end to sparklingly crisp highs. Furthermore, you get the incredible Top Boost tone of the AC30, making this amp one of most affordable and easy ways to get this coveted sound. A series of controls on board the Vox AC4C1-12 allows you to really shape your tone. Using the gain control, you can take your tone from dynamic cleans to rich, warm overdrive. You also have access to Bass and Treble knobs for further sculpting your sonic presence. Lastly, a Master Volume is on hand for adjusting your overall level with this amp sounding great from the lowest volumes to the highest. For further customisation, the AC4C1-12 features an extension speaker jack on the back panel. This extension output allows you to connect another 16 ohm guitar cab, turning the AC4C1-12 into a 4-watt valve amp head. 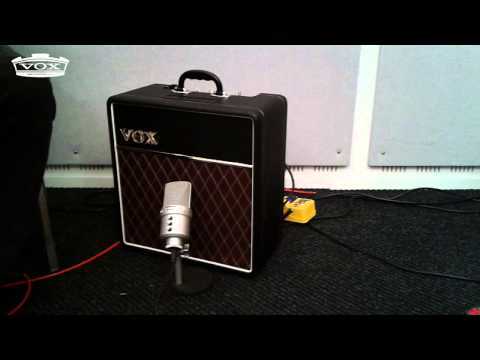 Not only does the Vox AC4C1-12 have the awesome Vox sound but it has the classic look too! From the traditional black basket weave and iconic brown diamond speaker cloth all the way to the Bakelite handle. The Vox AC4C1-12 screams old-school. Buy the Vox AC4C1-12 mini valve combo amp from PMT Online today and get the legendary AC30 Top Boost tone from a portable combo amp.